Cheap Mama Chick: Crazy 8- Everything $9.99 or less! Check out the adorable 4th of July styles! 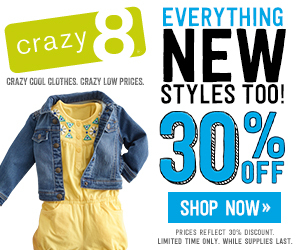 Everything $9.99 and under at Crazy 8 here!